This book, originally entitled Why Men Fight, is generally seen as the fullest expression of Russell's political philosophy. Russell argues that after the experience of the Great War the individualistic approach of traditional liberalism has reached its limits. Political theory must be based on the motivated forces of creativity and impulse rather than on competition. Both are best fostered in the family, in education, and in religion - each of which Russell proceeds to discuss. 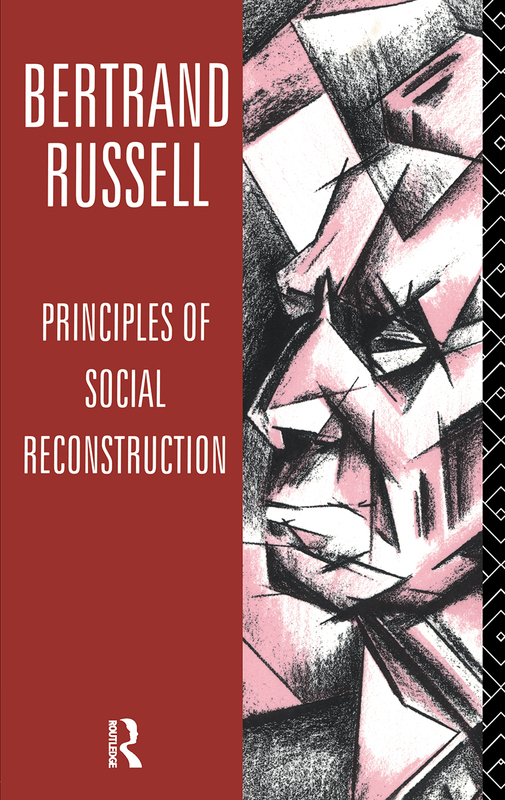 The ideas expressed in Principles of Social Reconstruction have greatly contributed to Russell's fame as a social critic and anti-war activist. The new introduction by Richard Rempel locates them in the context of Russell's other writings and show that neither his ideas nor his language have lost their force and topicality over the years.